Goals in each half for the visiting side ended the blaugranes’ run of five games without defeat (0-2). Barça B dominated the game and possession and they created plenty of opportunities in the second half. 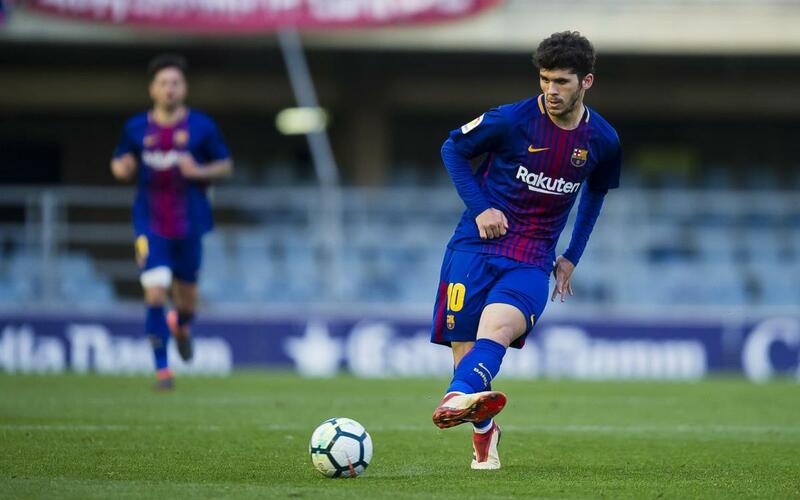 Carles Aleñá led the charge as he passed and dribbled his way through the game but was ultimately unable to steer his side to victory. Barça B controlled possession from the beginning with patience. However, Osasuna scored an early goal through Rober Ibáñez. The blaugranas went close through a long-range Aleñá effort. This activated them and they went close a series of time after that with efforts from Marqués, Palencia, and Costas. The home side were playing well but the equaliser didn’t arrive despite Aleñá’s best efforts as he drove at the defence and even hit the crossbar. Osasuna punished this lack of ruthlessness with a sucker punch of a goal from Quique to double their lead in the 76th minute. Gerard López’s side were unable to come back from this and they succumbed to a defeat at home.